A new year brings new beginnings — new opportunities to achieve goals. This can involve your home as much as it involves your personal life. Since your home is the biggest investment you will likely make, you should take special care of it. 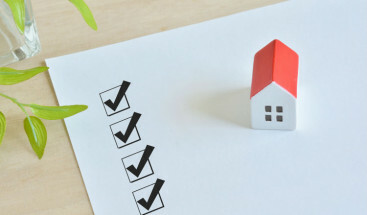 It’s time to take the care of your home into your own hands by setting these 5 home improvement goals for 2019. There are many ways to create a more energy-efficient home. Product manufacturers are continually developing “greener” and more efficient products to keep up with the ever-increasing demand. Energy-efficient products can save homeowners money, create a more comfortable interior, and help the environment. It really is no wonder that more and more homeowners are updating their efficiency. And now it is your turn! Replacement Windows— Old, drafty windows account for nearly 10% of the heat loss in a home. Energy-efficient windows are designed to keep unwanted air out and precious heat or air conditioning inside. Additional Insulation— Your heating and air conditioning are the greatest sources of energy in your home (accounting for 45% of energy usage). 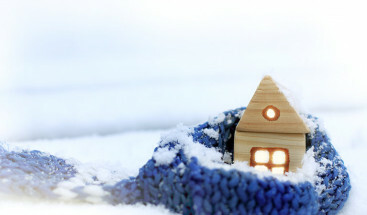 Adding insulation to a variety of areas in your home can reduce this loss and save energy. Programmable Thermostat— A programmable thermostat helps reduce energy waste by decreasing the temperature during times you are away from home and while you sleep. Energy-Efficient Appliances— These appliances include commonly used favorites such as your microwave and your dryer. Energy-efficient products use less energy, and some (such as dishwashers and washing machines) can lower water usage as well. LED Light Bulbs— High-efficiency LED bulbs use less energy than the average light bulb, but they also last longer. They help decrease energy bills and keep excessive trash out of landfills. Your exterior sets the tone for the rest of your home, and curb appeal is becoming increasingly important for resale. Setting a goal to beautify your exterior will impress your friends and increase the value of your property. Your exterior can be enhanced in various ways, depending on your budget. Landscaping— Beautiful plants liven up the appearance of your home. Create defined plant beds, and consider new sod if your grass is looking sparse. You can also add hardscapes like pathways or brick trim around paths. If you are on a budget, utilize the plants that you already have. Clean up the yard, and fertilize your plants and grass. Fresh Paint— Peeling paint is a sure way to decrease your home’s aesthetic. This means it’s time to pick a new color to liven up your home. A new coat of paint helps to preserve the life of your siding, killing two birds with one stone. Replacement Siding— When paint won’t save your siding, you need an upgrade. Replacement siding can make the greatest impact on your exterior’s appearance and increase the overall value of your home. Front Porch— A porch creates a more inviting and visually appealing entrance for a home. Installing a porch can give you additional entertainment space and beautify your curb appeal. Keeping your home and the people inside of its walls safe should be a top priority. Simple home improvement projects can help make this possible. Replacement Windows— If your windows are older or difficult to open, close, or lock, it’s time to replace them. As windows age, their sashes and locking mechanisms wear down and become ineffective. If they are older than 20 years, consider having your windows professionally replaced. Doors— Replacing your current exterior doors for steel doors creates a more secure entry and also increases the resale value of a home. For a simpler security enhancement, consider upgrading the locks. Security System— Perhaps the most obvious way to upgrade your home’s security is to install a security system. Contact a security company to monitor your system, but for maximum security install motion detectors, window and door sensors, and cameras. The safety of your home goes beyond its security. You don’t want vandals and thieves inside your home, but you also don’t want what’s inside your walls to harm you. Smoke/Carbon Monoxide Detectors— Fire is a real threat for homeowners, and protective measures should not be overlooked. Carbon monoxide is odorless and tasteless, so without a detection system, it can go unnoticed. Replace the batteries in your smoke/carbon monoxide detectors and test them. If they are not working properly, seek the help of a professional. Fire Extinguisher— Even small fires can turn into big problems without proper precautions. Obtaining a fire extinguisher is a great way to add safety to your home. Consider storing it near the kitchen or fireplace, where it will most likely be needed. Radon Tests— Radon is a radioactive gas that can cause severe health problems if trapped inside your home. Acquire a radon test kit for peace of mind. Short-term test kits can test the level in your home for a few days, while long-term kits can last for up to a year. After meeting your goals, you’ll need a way to maintain them. Creating a maintenance schedule can help you stay on top of your accomplishments. Set a Schedule— Analyze which projects need to be accomplished on a weekly, monthly, seasonal, and annual basis; and then create a maintenance schedule. For example, your siding should be assessed and cleaned yearly, while your gutters should be cleaned out before spring and fall. 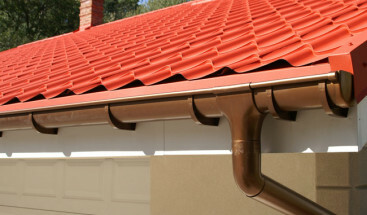 Install Low-Maintenance Items— To assist with upkeep, consider installing items such as gutter guards or James Hardie® siding. These low-maintenance items will help free up your time while protecting your home. 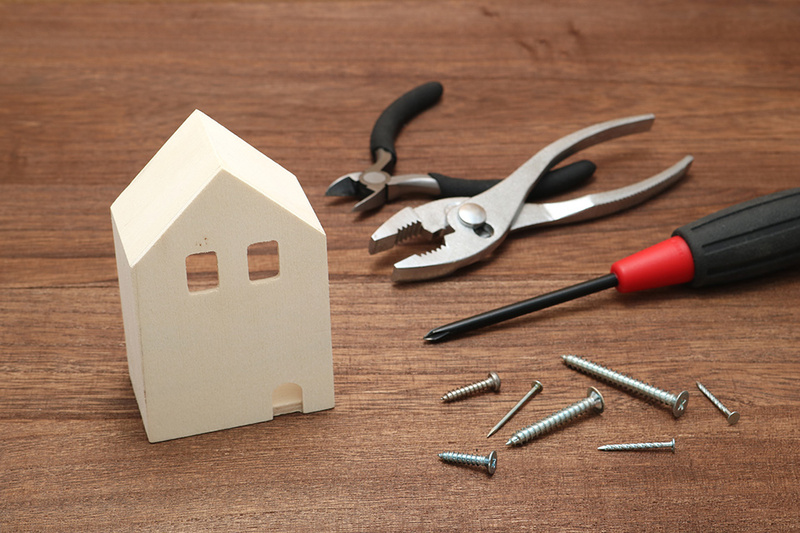 Learn more about how you can achieve your home improvement goals. Schedule a consultation with our licensed team to see how we can help transform your home this year.